One of the main uses for hyperbaric treatment in animals is the ability to reduce swelling and speed healing in animals. Many describe the treatment as comfortable and relaxing for the animal. Inside the chamber, pets can rest or sleep on a soft blanket while breathing in pure oxygen. As the oxygen flows through the pet’s bloodstream, it can aid in the reduction of swelling and help to heal wounds. The animals are completely relaxed during the process with no stress, and the average treatment time is often between 1 to 2 hours. It’s usually repeated twice a day and will continue until improvement is seen by veterinarians. As soon as an animal shows signs that they are recovering, the use of hyperbaric oxygen chamber stops. Hyperbaric oxygen chambers are essentially pressured tubes or rooms where hyperbaric oxygen therapy can be offered to animals. 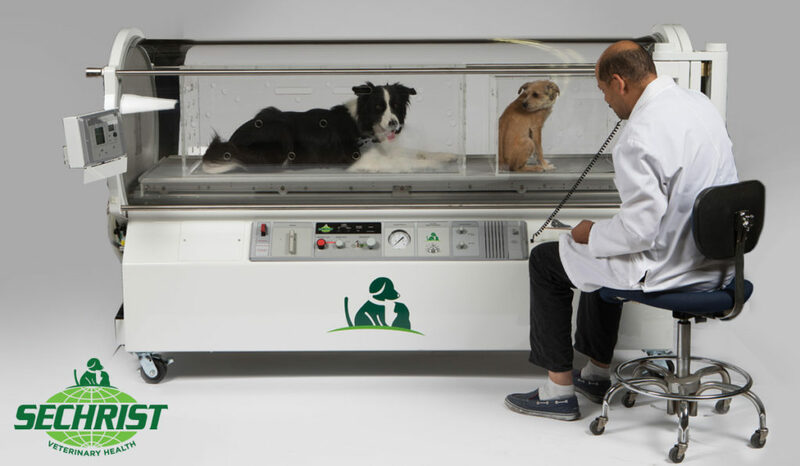 We have your dog oxygen chamber for sale. This is a relatively old treatment technique that has been used in human medicine for many years to treat a variety of conditions such as air bubbles in blood vessels (known as arterial gas embolism), carbon monoxide poisoning, crushing injuries or even gangrene. The way a hyperbaric oxygen chamber works is actually fairly simple. The air pressure is built up to three times greater than normal levels which cause the lungs to collect up to three times more pure oxygen than what is possible when breathing normally. This means that pure oxygen travels around the body via the bloodstream, encouraging the release of growth factors and stem cells that can assist in the healing process. Hyperbaric oxygen therapy isn’t an idea or a theory but something that has been actively used before. 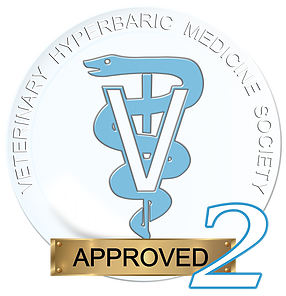 In fact, many veterinarians have already successfully used hyperbaric oxygen therapy as part of their practice with great results to show. A great example is the case of Tully, a 9-year-old labrador retriever that was under the care of Dr. Hitt. Tully experienced bad elbows and hips and after just two treatments, the veterinarian noticed less arthralgia. Tully has a past of being anxious and doesn’t sit well with regular medication and when reacting to stress, it can be difficult for the veterinarian to calm him down. One of the advantages of hyperbaric treatment is that it doesn’t involve medication but instead, allows the animal to relax and fall asleep while the oxygen courses through their bloodstream and encourages their body to heal itself. Due to the chambers recent installation, Dr. Hitt’s use of hyperbaric oxygen therapy is still in its infancy. Aside from 9-year-old Tully, Dr. Hitt has treated five felines with issues ranging from ineffective erythropoiesis (a form of non-regenerative anemia) to chronic Toxoplasmosis Microgranulomas, which resulted in a chronic inflammatory response. In fact, one of the cats treated had neurologic symptoms and hyperbaric oxygen therapy was offered as a last chance to treat her symptoms before she would be euthanized. The cat’s symptoms did improve and she is experiencing a good quality of life again. While Hyperbaric oxygen therapy isn’t the only reason that she improved, its use definitely played a major role in her recovery. 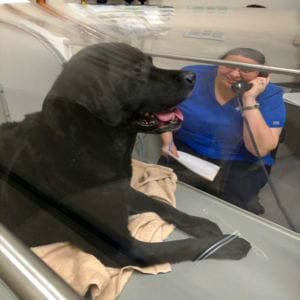 While Dr. Hitt has seen many advantages to using hyperbaric oxygen therapy, it may be difficult convincing a wider range of veterinarians to adopt it as a treatment option due to it being an unfamiliar process. Perhaps in a few years, the treatment will become more widely available, but for now, it may remain as a relatively unknown treatment option that both pet owners and veterinarians. Accidents in hyperbaric therapy are rare as long as the right safety processes and procedures are used. With proper training, a hyperbaric oxygen chamber is as safe as any other veterinary treatment equipment with no side effects. The goal is to introduce more oxygen into the system which ultimately allows the body to heal faster with natural methods. 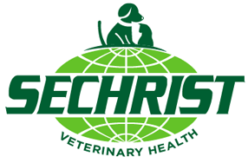 Do Veterinarians Need Hyperbaric Treatment for Animals? 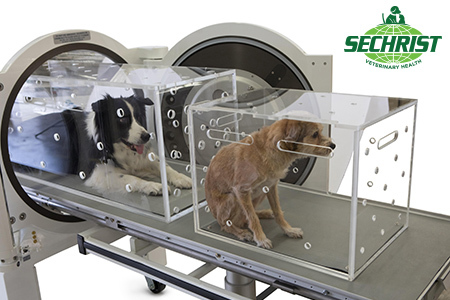 A animal hyperbaric chamber is an option that provides many unique benefits that will ultimately give veterinarians more options when treating animals. Hyperbaric treatments are very comfortable for the pet, they don’t put as much strain on the parties involved and they’re also no more expensive than popular treatment options such as topical lasers and supplements. In terms of accessibility and peace of mind for the animal, the owner and even the veterinarian, it’s a far better solution than the alternatives such as invasive surgery. Many veterinarians that have used hyperbaric oxygen therapy have nothing but praise for the solution and it will likely grow in popularity due to the savings it can offer and also the effectiveness of treatment. Veterinarians need to offer hyperbaric treatments as an alternative to medication and surgery especially if the pet in question has a poor history of reacting to those two forms of treatment.